LONDON — The Daily Star in the UK is reporting that Real Madrid are interested in a swap deal for Manchester United forward Romelu Lukaku this summer. 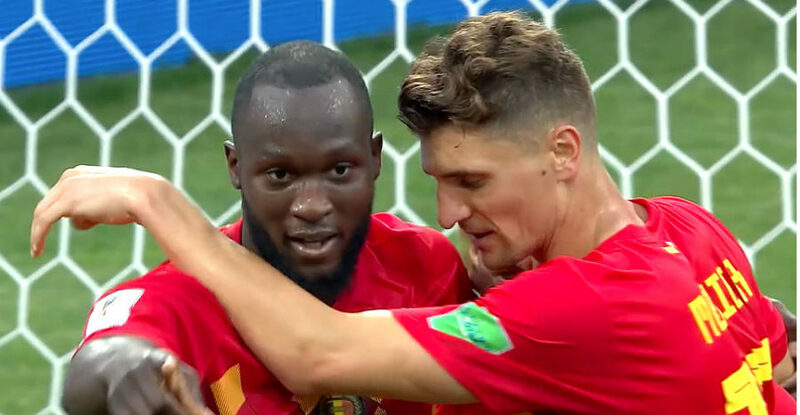 According to the newspaper, Real Madrid are looking to bolster their attack for coming season and have identified Lukaku as the ideal man to lead the forward line, as a replacement for Karim Benzema. It is understood that Ronaldo would like to leave the Spanish side this summer and the Daily Star claims Los Blancos are ready to offer the Portugal international in what would be a massive swap deal with his former club, Manchester United. Diario Gol claims that Real Madrid are apparently ready to offer Manchester United £44m and Ronaldo for Lukaka. Both players are currently with their respective international teams preparing for the round of 16 phase of the 2018 FIFA World Cup in Russia. Ronaldo and Lukaka have also scored four goals apiece at the World Cup, with the latter playing just two of the three matches in the group round. Lukaku has a productive first season with Manchester United last term, following his move from Everton, scoring 27 goals in all competitions. The 25-year-old is also the all-time leading goalscorer in the history of Les Diables Rouges and has been rated highly by former Real Madrid manager Jose Mourinho, who is now at Old Trafford. Ronaldo, who helped Real Madrid win three successive Champions League title this past May, has been impressive in Russia – scoring a hat-trick in the 3-3 draw with Spain the opening game of the tournament for both nations. It is understood the Ronaldo would be interested in a return to Manchester United and the English Premier League and there are also reports suggesting that contact has been made between the Red Devils and the Spanish side. No transfer would happen until after the World Cup was concluded.